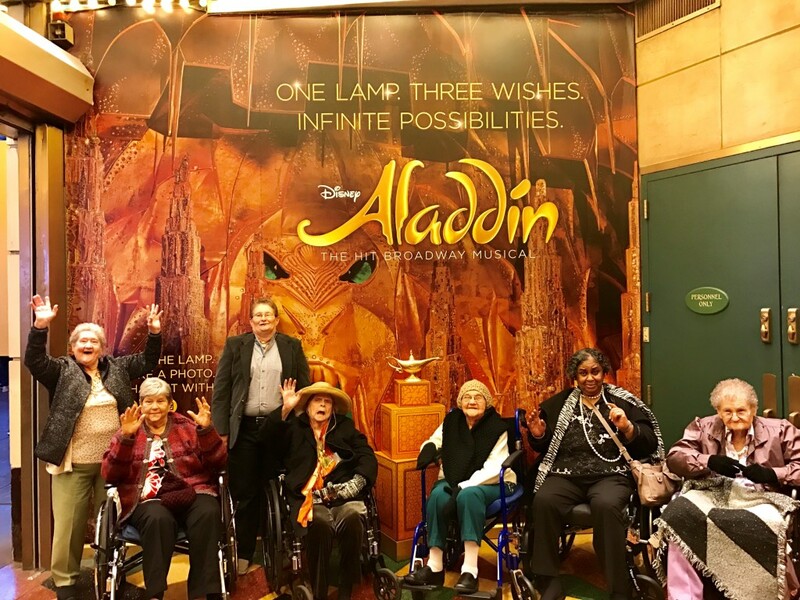 Today we experienced a “whole new world” with our Elders. 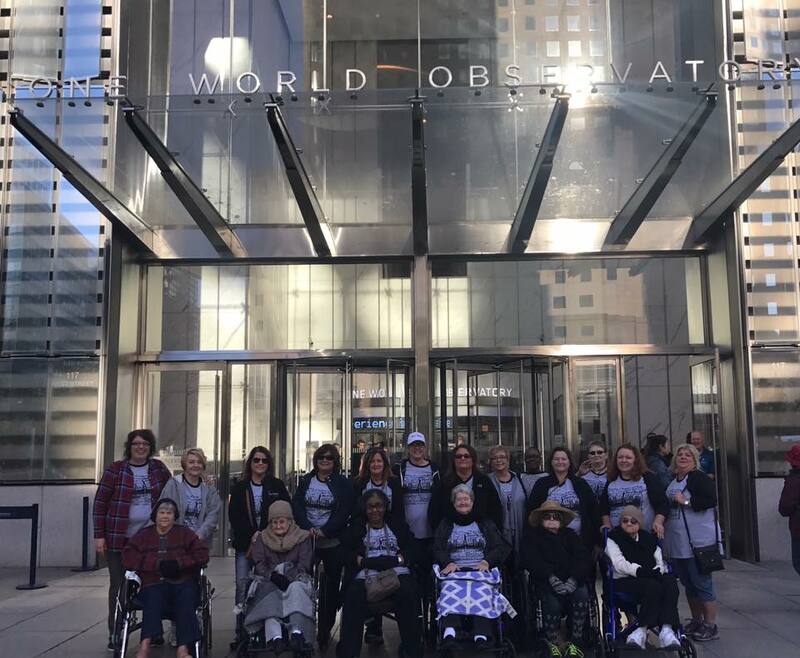 With an early start, we loaded the Big Bus New York and took off to One World Observatory. Walking through the World Trade Center grounds, one of the Elders was already overcome with emotions. She was remembering the history that marked the spot with sadness and realizing what that day in 2001 must have looked like for so many. 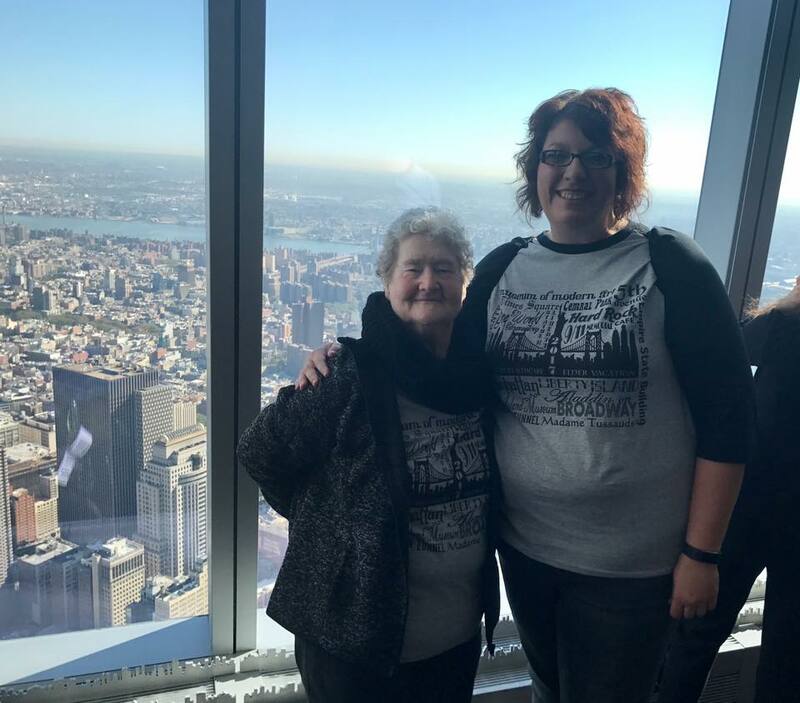 We entered the One World Observatory and immediately were ushered into elevators. The elevators took us 102 floors up (1,776 feet) in only 42 seconds! The Elders were amazed at how everything was so lightening fast! Once off the elevators, we went into the theatre room and watched a short video about the city. After the video was over, the curtained raised and we saw a beautiful view of the city from above. One Elder just looked in complete awe and all she could say was, “wow” repeatedly! The facial expressions on the Elder’s faces as they made their way through the observatory and looked at the city below were amazing! They loved taking pictures and getting their picture made from above the city. Some even enjoyed looking up sites on the IPAD provided to learn more about each area they would be visiting this week and some they wouldn’t get the chance to. After a fun filled morning at the Observatory everyone headed back to Times Square for some free time. This afternoon our entire group got dressed up and ready for a night on the town! We enjoyed dinner at Bucca Di Beppo’s before hitting Broadway! We couldn’t wait to watch Aladdin, The Musical! From the moment we stepped into the historic New Amsterdam theater, we were struck by the sheer beauty of it. So many productions had taken place right here and now we got to part of the history of it all as well! One of the Elders met a lady from Louisville, Kentucky who presented her with a gift because she felt a connection to her. They became friends! The production itself was mesmerizing. The Elder’s eyes were dancing with joy and happiness as they took it all in! Afterward they couldn’t wait to get a group picture outside the theatre as we were leaving. 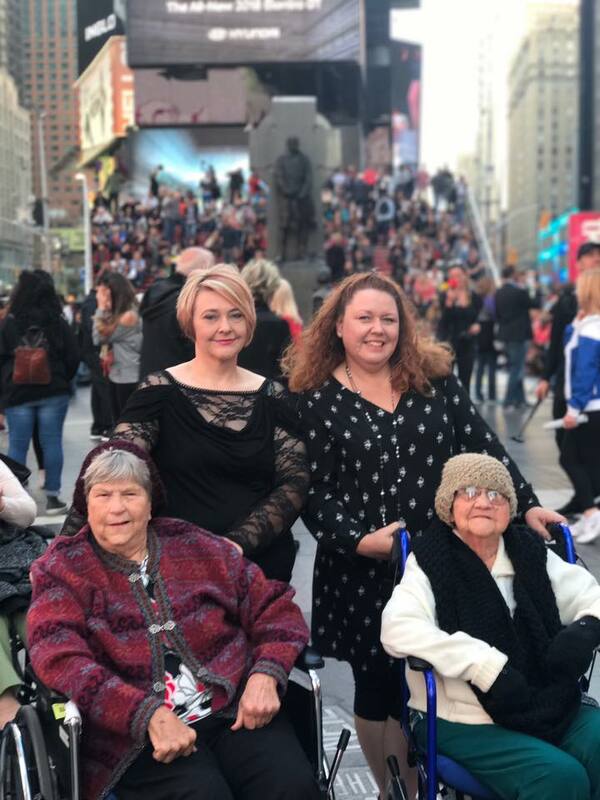 From the heights of the One World Observatory to the thrills of Broadway, our Elders have indeed experienced a whole new world. One Elder summed it up perfectly tonight, ” I never thought I could do this but here I am! I am going to START thinking about me because I’ve always put others first. I want to travel more.” I love that while most of the world has written our Elders off as being “‘done with life”, they are in fact only just BEGINNING! It is indeed a “Whole New World”.